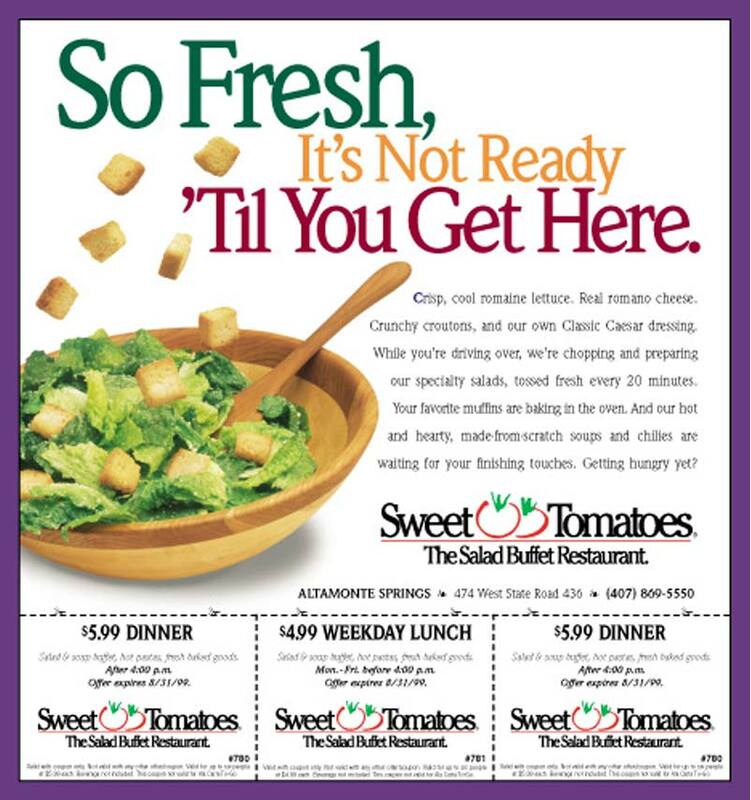 The Challenge: To add excitement to a their fixed-menu meal offerings, Souplantation & Sweet Tomatoes Restaurants wanted to start rotating in groups of new seasonal menu items. To build awareness of these new menu items we created custom in-store displays and matching magazine ads. We had a budget for a custom photo shoot but since the creative would be used over and over to promote future new dishes we could not shoot the actual new menu items. The Solution: The creative a concept positioned the kitchen staff as creative chefs, and was designed to be able to temporarily replace existing ad series, which we had created the previous year. The design of these 3-foot triangular hanging posters involved several components. They were printed four-color process, laminated to chipboard and die cut. 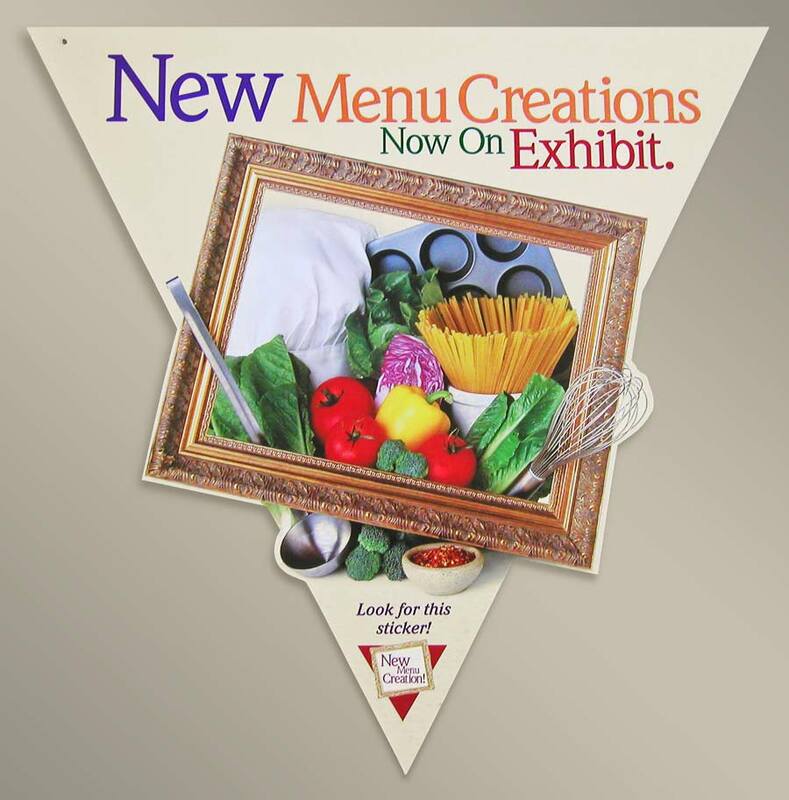 The printer also provided boxes, bubble-wrap hand-packaging and shipment of posters to the individual restaurant locations, which helped preserve the pointed corners of the displays. String, i-beam brackets and hanging instructions were also provided. 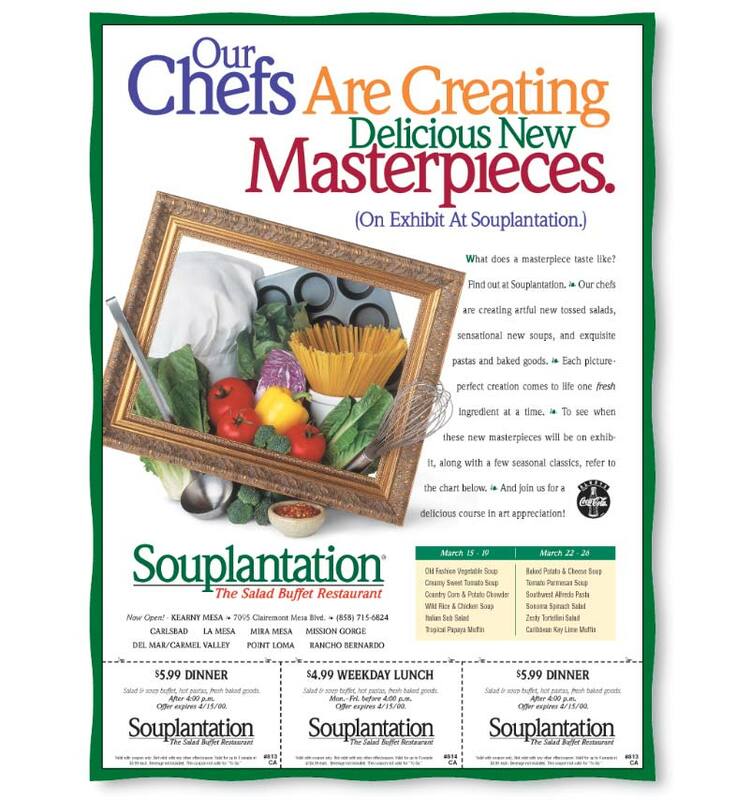 Evolution Design also designed and produced clear triangular static cling labels which were placed on the spit-guard, above the serving dish of each new menu item. To support each new menu roll-out, we used the same photo and headline in the design of a national consumer print advertising campaign.